With figures such as these, it was evidently fitting that Nigeria hosted their 13th Oil and Gas Exhibition in their capital city Abuja. 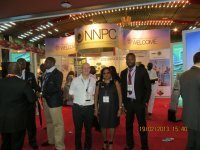 The exhibition, which was incepted in the year 2000, remarkably attracted over 1000 national and international senior level delegates, and with the support of key stakeholder within the oil and gas industry, NOCC continues to be the largest and most prestigious oil and gas conference in Nigeria. 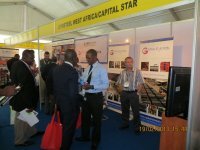 Capital Star Steel was vastly avid when invited to be part of this occurrence, which ran from the 18th to the 24th of February 2013. Such a convention was beneficial to Capital Star Steel’s commerce as this will stimulate greater opportunities in marketing the brand, networking to enhance the brand and to ascertain more information on our competitors and potential ventures within the piping and steel industry. Impressively, delegates that attended and addressed the event included Diezani Alison-Madueke, Honorable Minister of Petroleum Resources, federal Republic of Nigeria; Markus Droll, Vice President Nigeria and Gabbon, Shell upstream international and Wale Tinubu, Group Chief Executive, Oando Plc – key influencers within this robust and remunerative industry. 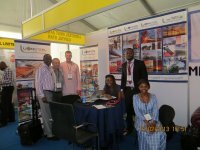 As a company that manufactures high frequency ERW pipe serving the international oil, gas and mining industry across Africa, it made business sense to include ourselves at such a conference. 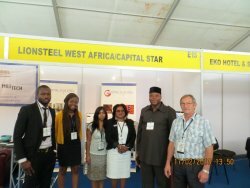 Since the birth of Capital Star Steel in 2008, it has always been our strategy to position ourselves in such a way that we become market leaders in what we do. This year we intend to target the mining industry directly, and with a plunge in the door from our successful incorporations at the mining indaba we are confident that this will be an addition to the growing stature of the company’s ventures and achievements. 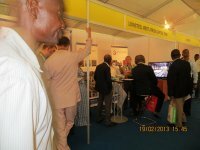 References: Information Services; Nigeria Oil and Gas conference Website; CSS website.